Session Types are ways to define the type of session. 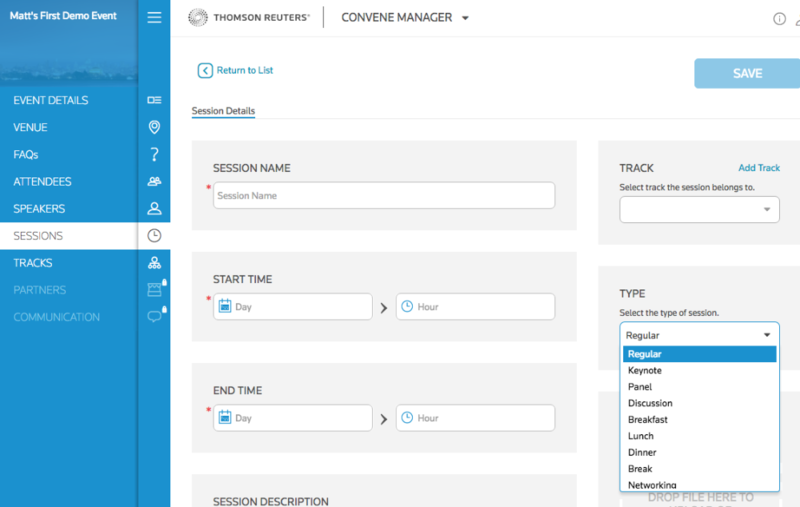 The Convene app will treat specific session types differently. For example, in iOS a Session Type of "Break" will show a tea cup beside the session in the Event Schedule. In our Android app, nothing happens yet. We recommend setting Session Type to "regular" as the default selection.